I am John Buschman and I extend a special welcome to our newest entering class of 2022 and our newest graduate students here at Seton Hall. For those of you returning again to the Hall, you will note the extensive work we’ve done in the Library to improve the findability of our materials. The numbers are truly staggering: we have inventoried and organized the entire collection to make sure that the record you retrieve matches the book on the shelf; we have fixed, repaired, added or deleted approximately a quarter million records in the process – a project that has taken five years and netted us 2000+ square feet turned over to students. And for our graduate students, it is notable that our Institutional Repository (http://scholarship.shu.edu/) reached a milestone this year: 2 million downloads (https://www.shu.edu/news/institutional-erepository-hits-two-million-downloads.cfm). Why is this important to Seton Hall graduate students? Because your electronic theses and dissertations (ETDs) drive the vast majority of that usage. Your scholarship gets noticed at Seton Hall. We will look to make even more improvements this academic year. We will make progress in distributing a new form of electrical power to students using the building – so that the carrels on the third and fourth floors are more user friendly, and quiet space is more accessible, and we will deploy a find-the-book app. to much more easily locate your materials in the stacks (we also have a pull-the-book service so that the item is waiting for you at the Circulation desk – “Place Hold”). These initiatives promote “excellence in academics at Seton Hall University [and] the primacy of academics in all endeavors” within your library (from the current University Strategic Plan – “From Strength to Strength”). Specifically, “students’ needs are the library's top priority, faculty find the resources essential for their teaching and research” and we “support excellence in academic and individual work, enable inquiry, foster intellectual and ethical integrity and respect for diverse points of view through user-focused services and robust collections as the intellectual and cultural heart of the University” (from the current Mission, Vision and Values Statement of the University Libraries). Elizabeth Leonard is the Assistant Dean of Information Technologies and Collection Services. She holds a MLIS from Rutgers University, a Masters in Urban Planning from Wagner School of Public Service (NYU), and doctoral work in Clinical Psychology with an APA approved program. Elizabeth's background spans over 20 years working in the fields of information technology and libraries, including stints with NYU, Coach Leatherware, and the Department of Defense. She specializes in project management, systems development, digital librarianship, and library administration. Her book, Virtually Embedded: The Librarian in an Online Environment, (with co-editor Erin McCaffrey) was published by ACRL in 2014. She is the past President of ACRL-NJ, and has published and presented on the subject of online libraries, virtual embedded librarianship, marketing of online library services, and the value of academic libraries. Sebastian Derry is the Assistant Dean for Public Services. 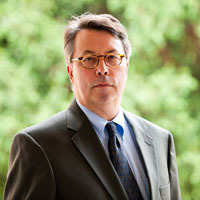 Prior to joining SHU, Sebastian served as the Director of the Elizabeth Seton Library at the College of Mount Saint Vincent in New York, and was the Head of Media Services at Temple University. He earned his MLIS from Dalhousie University (Nova Scotia) and a Bachelor of Music degree from the University of Prince Edward Island.